My doctor has been telling me for several years to take fish oil capsules every day for my heart. Last week when I saw her for my yearly checkup, she told me to stop taking them, because some newer studies show they really don't do any good. What's going on here? Is fish oil good for the heart or not? And why can't doctors make up their minds? What you are witnessing here is the inherent messiness of medical progress. Different medical studies — depending on their designs, how they are conducted and analyzed, which type of patients they enroll, and several other factors — often will yield different results, even when they are studying the same question. It commonly takes many years for medical science to sort through the discrepancies and finally reach what can fairly be called the "truth." Until that time is reached, you are likely to get mixed messages from the medical community — or even (as in your own case) from the same doctor. This is what is happening with the question of fish oil and the heart. What Is So Healthy About Fish Oil? Years ago scientists noticed that people who habitually ate a lot of fish — such as Eskimos — had a very low incidence of heart disease. Fish oil was found to contain omega-3 fatty acids (a form of polyunsaturated fatty acids, or PUFA), in particular, the omega-3 fatty acids EPA and DHA. Subsequent studies associated EPA and DHA with several beneficial cardiovascular effects. Dietary EPA and DHA has been associated with reduced triglyceride levels, increased HDL cholesterol ("good" cholesterol) levels, reduced blood pressure, reduced inflammation, and a reduced risk of dangerous cardiac arrhythmias. Several earlier, non-randomized studies also suggested that fish oil consumption was associated with a slowing in the progression of atherosclerosis and coronary artery disease (CAD), a reduced risk of sudden cardiac death, and a lower overall risk of cardiac mortality. Such studies, published over a period of 10 years or so, convinced most experts that consuming fish oil, either in the diet or by means of supplements, was a very good idea. More recently, large randomized clinical trials failed to show any significant reduction in cardiovascular mortality with fish oil. Most disappointing was the long-anticipated Risk and Prevention Study, published in 2013. This study reported that people receiving fish oil had no reduction in cardiac death, compared to people receiving placebo. In these more recent clinical trials, in addition to fish oil or placebo, the enrolled patients were receiving very aggressive medical therapy to reduce their cardiac risk and to treat their CAD (such as statins, aspirin, beta blockers, and ACE inhibitors ). It may be that the benefits of fish oil are not as apparent in people who are otherwise receiving aggressive medical therapy. On the other hand, a recent meta-analysis of randomized trials with fish oil still showed a modest overall reduction in cardiovascular death in patients taking fish oil. Furthermore, the evidence of benefit is somewhat stronger in people who already have established CAD. The possible benefit of fish oil was seen with 250 mg/day; higher doses did not provide any additional benefit. So Where Do We Stand With Fish Oil? 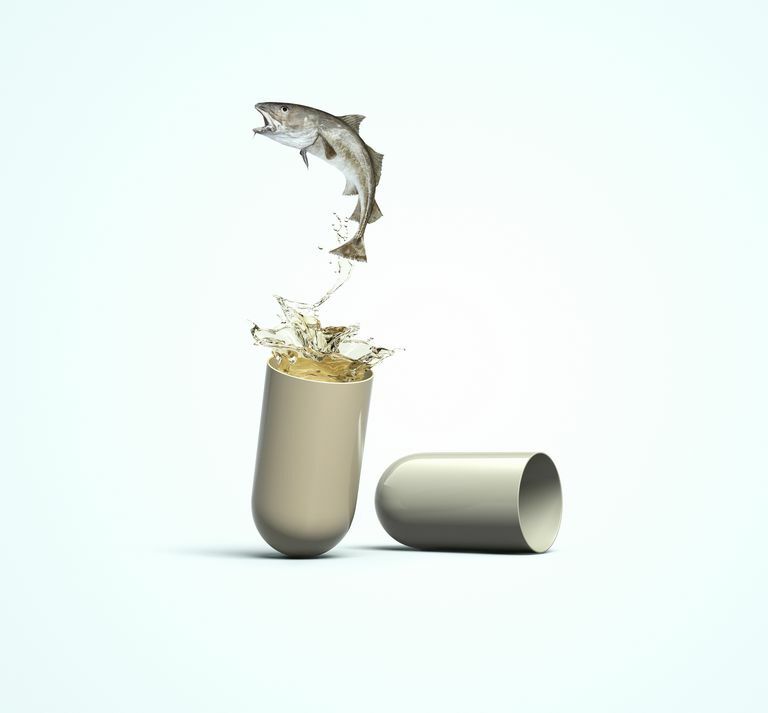 At the very least, taking fish oil supplements is not the slam dunk it was just a few years ago. Still, if you take into account all the available randomized trials, there remains at least suggestive evidence that fish oil may be of benefit. Many randomized clinical trials have demonstrated that fish oil improves several cardiovascular risk factors (such as HDL, triglycerides, blood pressure). And (as mentioned) a meta-analysis of randomized trials offers at least some evidence that overall cardiac mortality may be improved. Add to this the fact that there is very little, if any, risk from consuming fish oil (aside from the expense), and you get an overall risk/benefit calculation that remains favorable. While the state of the science on fish oil and heart disease is unsettled, clinical studies show at least a possible benefit, and little or no harm. So most cardiologists now recommend consuming at least one or two servings per week of oily fish; or, alternatively, taking a daily fish oil supplement of 1 gram/day containing both EPA and DHA. Anyone who is interested in doing whatever is reasonable to reduce their risk of cardiovascular disease still ought to consider either eating oily fish once or twice per week, or taking 1 gram per day of fish oil supplements. The risk of doing so is negligible, and there is at least a reasonable chance of substantial benefit. Hu FB, Bronner L, Willett WC, et al. Fish and omega-3 fatty acid intake and risk of coronary heart disease in women. JAMA 2002; 287:1815. Risk and Prevention Study Collaborative Group, Roncaglioni MC, Tombesi M, et al. n-3 fatty acids in patients with multiple cardiovascular risk factors. N Engl J Med 2013; 368:1800. Rizos EC, Ntzani EE, Bika E, et al. Association between omega-3 fatty acid supplementation and risk of major cardiovascular disease events: a systematic review and meta-analysis. JAMA 2012; 308:1024. Siscovick DS, Barringer TA, Fretts AM, et al. Omega-3 Polyunsaturated Fatty Acid (Fish Oil) Supplementation and the Prevention of Clinical Cardiovascular Disease: A Science Advisory From the American Heart Association. Circulation 2017; 135:e867.